Trucking Companies | Transportation Services - Lewis Transport Inc.
and our drivers play the most critical role. the Ohio Valley and beyond for over 60 years. routes, and guaranteed family time. Why Lewis Transport? 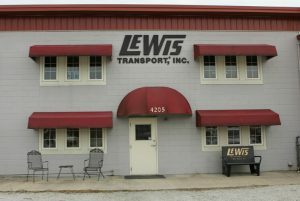 Lewis Transport, Inc. has been a leader in tanker transport trucking companies in the Ohio Valley and beyond for over 60 years. With a dedication to safety and customer service, Lewis Transport continues to rise to the everyday challenges of an industry that is constantly shifting for trucking companies. From new and changing regulations to shortages to natural disasters, Lewis Transport is ready to load the truck and deliver your product safely and on time. It’s what our customers expect and what we do best.